If you smoke, quit now. Stay away from cigarette smoke. Smoking is bad for health, particularly heart health. Among other harmful effects, smoking raises blood pressure and increases the likelihood of blood clotting, which can lead to a heart attack or stroke. It also decreases HDL (good) cholesterol and makes exercising more difficult. Keeping high blood pressure and high cholesterol in check are two more ways to help control heart disease. High blood pressure can damage the heart, blood vessels, and kidneys. High cholesterol is another serious heart disease risk factor, and the higher your cholesterol number, the greater the danger. Follow your doctor’s orders to get both under control through diet, exercise, and medication, if prescribed. Reaching and maintaining a healthy weight is important for overall health and can help you prevent and control many diseases and conditions. If you are overweight or obese, you are at higher risk of developing serious health problems, including heart disease, high blood pressure, type 2 diabetes, and certain cancers. Aerobic activity. Get at least 150 minutes of moderate aerobic activity or 75 minutes of vigorous aerobic activity a week, or a combination of moderate and vigorous activity. Strength training. Do strength-training exercises for all major muscle groups at least two times a week. Aim to do a single set of each exercise, using a weight or resistance level heavy enough to tire your muscles after about 12 to 15 repetitions. Manage diabetes to lower cardiovascular risks. People who have diabetes are twice as likely to have a heart attack or stroke. Keeping your blood sugar levels under control can help keep your heart and arteries healthy. If you have diabetes, consult your doctor educator for help in designing a balanced diet and exercise program. Focus on foods high in fiber —such as fruits, vegetables, and whole grains — omega-3 oils (such as coldwater fish, especially salmon), and mono- and polyunsaturated fats. Limit saturated fat and avoid trans fats often found in fried foods, processed foods, and commercial baked goods. Salt contributes to heart disease risks, such as high blood pressure. Talk to your doctor about your personal limit for managing heart disease. A lot of the salt in our diet actually comes from pre-packaged items such as chips, instant noodles, and cured meats. Drinking too much alcohol will not only sabotage your weight management goals with unwanted calories, but can also worsen heart disease. According to the National Institutes of Health, men should limit alcohol intake to no more than two drinks a day, while women should have only one. Control stress for a calmer heart. Stress may affect behaviors and factors that increase heart disease risk: high blood pressure and cholesterol levels, smoking, physical inactivity and overeating. Some people may choose to drink too much alcohol or smoke cigarettes to “manage” their chronic stress. Whether you try meditation, yoga, guided imagery, or another mind-body approach, relaxation techniques can be an important tool in keeping heart disease under control. Educate your self about heart disease. 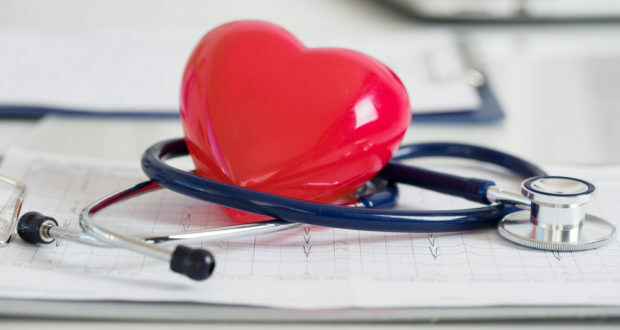 Knowledge is power, and there are many ways you can learn more about heart disease and protect your heart from further damage. Your doctor is a good source of information, but take advantage of reputable online resources as well.